A lecture by Prof Fabio Camilletti (University of Warwick) as part of the School of Languages, Literatures and Cultural Studies Research Seminar Hilary Term 2019. Fabio Camilletti will explore the still uncharted region of ‘Italian folk horror' through cinema, literature, music, and ethnology. Coined by film director Piers Haggard, the term ‘folk horror' has become ubiquitous in contemporary British culture, ending up to denote not only the aesthetics of films such as Haggard's Blood on Satan's Claw or Robin Hardy's The Wicker Man, but a veritable tonality underlying Britain's relationship with its own past, repeatedly resurfacing in visual culture, literature, and music. 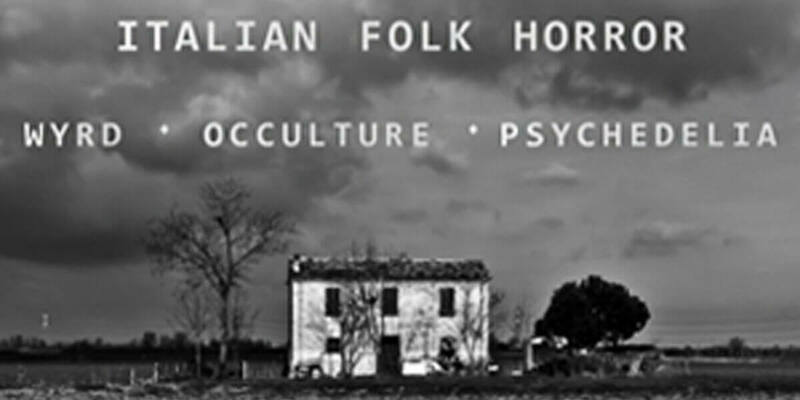 At the same time, folk horror has also become a peculiarly trans-national phenomenon, finding specific resonances in Italian culture: the music scene labelled ‘Italian Occult Psychedelia', for example, has many points in common with folk horror, and the narrative/cinematographic horror sub-genre known as ‘gotico padano' shows several elements of proximity with its British counterpart.